It’s so weird. It’s all self-driven. 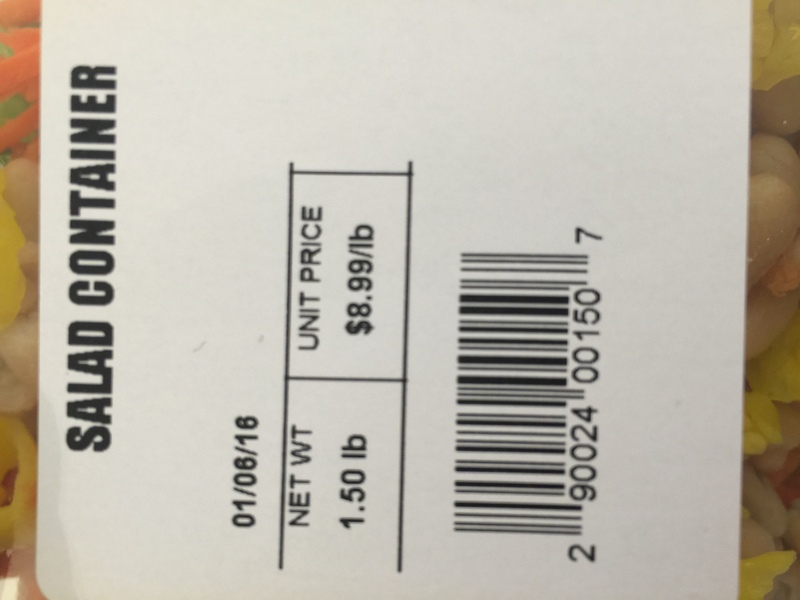 You weight your salad bar, print a sticker and tag it like a deli clerk. In a terminal that will almost certainly be to your back when you’re looking to pay, you traverse a crowd of people getting off their flights from all over the world to complete your purchase. I appreciate the sneeze card, though amidst all the sneezing, coughing and generally “stale air” that you’ll find at the airport it seems like an odd choice to have cold vegetables, meats, eggs and cheeses just sitting out there. All day. I can't tell if putting a self-checkout salad bar island in the middle of what is otherwise a common walkway between the terminal gates at an international airport is genius or basically a free duty shop for food poisoning. Ask me again in 12 hours or so. But disease vectors be damned! Sometimes when you want a healthy-ish eating choice at the airport you have to go for it.